This entry was posted in Dartmoor wildlife, Ghosts in the landscape, Polecats and tagged Polecat, Vincent Wildlife Trust. Bookmark the permalink. Apparently Bryher – according to the Vincent Wildlife Trust – the area around Moretonhampstead, Whiddon, Tedburn is a real hot spot for them – so you probably did! 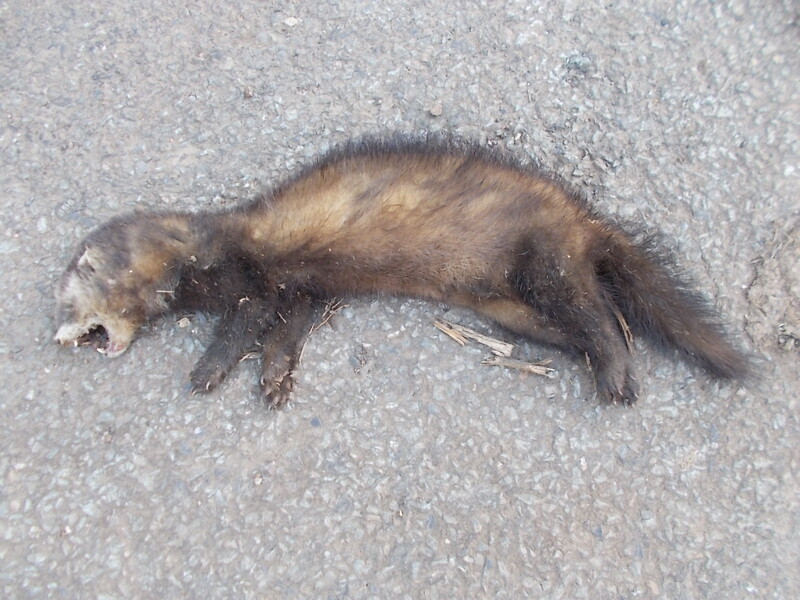 I travel around rural North Devon quite a lot and have noticed on the odd occasion rather small ‘badger’ corpses or remnants off – however, when travelling in Wales in the summer of 2018 I saw a very clear polecat road kill, (it didn’t carry any of the ferret features, I expected). Anyway yesterday 4th December 2018, I was traveling in Hartland and saw another possible polecat corpse, heading towards Hartland Point. Intrigued i stopped and had a look. It had been badly mauled by a car and the head was crushed, but it was very dark, without any light guard hairs, it appeared very similar to the one I saw in Wales. I am familiar with ferrets, so am aware it could be a former domestic, gone feral. has anyone else seen what they think might be a polecat in North Devon? 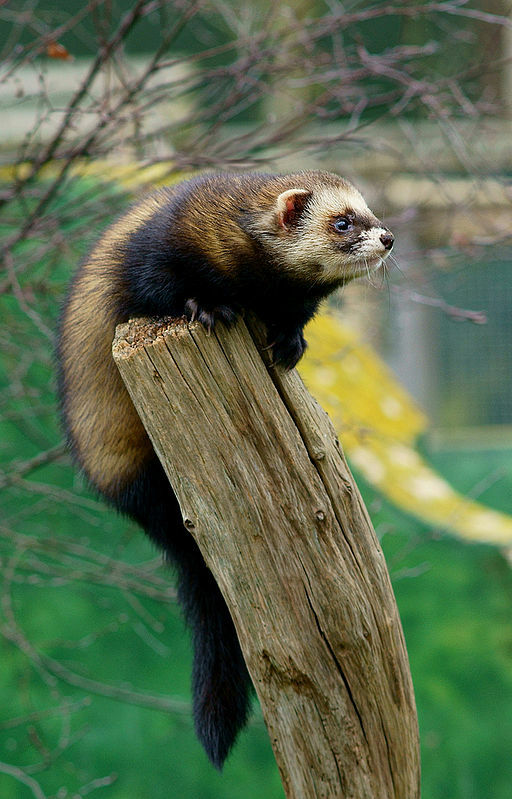 Difficult to tell what it was – but polecats are on the up!